Online press release submission is one of the most important things that an entrepreneur must-do whether he is a new player in the market or an existing one. Press Releases give a push-up to the online marketing campaign for a budding business and are also of key importance for those who have already established a huge business a rapport in the online market. A Press Release is for sharing some news about your company that the world might be interested in knowing. Online press releases are a very good option if you are a new entrepreneur and are looking for generating awareness in the market. Press releases not only boost the ranks of your website, but they also create a name for you in the market and as well as help you to build your reputation. Though, press releases submission is a monotonous task, and if the person wants to do it himself, he would have to learn a few things which will waste his precious time that could other wise be spent on more important and 'his-kind-of-job' things like business development etc. We, here, have a team of specialists who specialize in doing press release submissions only and who will do the job for you excellently. Press releases should be done on websites that have a good past record. Our PR submission specialists have a whole directory that has a list of such websites which have helped many people grow. Our SEO specialists take great care while making a press release public. Our first step is to make a plan on how to release and when to release the news. The time and the way of releasing essential news are some of the various factors that need to be taken care of before releasing anything important. We listen to the person concerned and then act on the lines of what the person wants and side-by-side optimizing and adding various inputs from our side too. 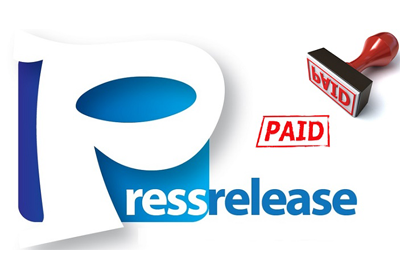 Our experienced press release writers make releases that include the keywords so that the website is optimized and alongside do not compromise on quality. What a writer needs is audience and what the audience wants is good stuff to read about and that's what we provide for our client's website.